Colombia is one of the main emerging economies of the South American continent and that means an ever-growing energy demand. In particular, electricity consumption is not only increasing but also changing from a matrix almost completely based on Hydropower, to a mix, where fossil fuels are ever more prevalent. Furthermore, there is a large portion of the country’s surface where electricity distribution cannot reach demand, the non-interconnected areas (NIA). NIA cover more than 50% of Colombian territory, where more than 625.000 people live. Diesel engines are mostly providing the electricity supply in NIA. 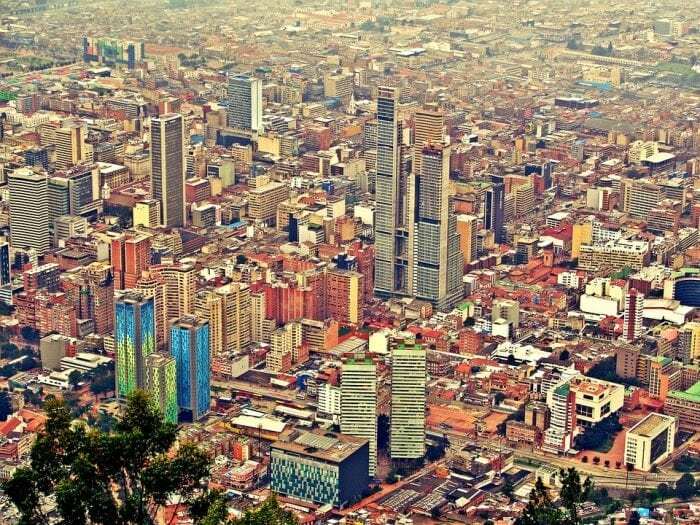 To match the electricity demand and the interconnection of the pending country areas, a low carbon economy has been set as a strategic priority for the Colombian government. To fulfill this objective, one of the main strategies is the use of renewable energy sources. These include conventional (i.e. big hydropower) and the so-called non-conventional renewable energy sources (NCRES): solar photovoltaic power, wind power, biomass, geothermal and small hydroelectric power (less than 20 MW of electric power installed). However, in spite of having the potential to fully cover the electric demand, NCRES are still encountering different barriers against their exploitation. Thus, our research presents an assessment of the obstacles to that development in the non-interconnected areas of Colombia. Lack of electric grid in non-interconnected areas. Customs tariff. No custom taxes need to be paid when importing equipment for the development of new NCRES projects. However, that equipment is frequently charged delaying and increasing the cost of shipping. Economies of scale. Renewable projects tend to be small compared to traditional power plants, besides larger players of the market profit from lobbyist positions. Obstacles and energy alternatives were included in an assessment model by means of Analytical Network Process (ANP). ANP is a multi-criteria decision-making method proposed by T.L.Saaty that helps to model conflicts were uncertain and qualitative information need be used. ANP permits ranking the barriers and energy sources according to their influence in the network. That means the more conflictive the obstacles and the more obstructed the energy sources, the higher their values in the model. Four experts participated in the procedure representing different stakeholders in the electricity market of Colombia. The research showed the most important barriers are costs of investment and operating; a lack of public and private coordination; and a lack of development planning for renewable energy sources. The sources most hindered by barriers are wind and geothermal power. Hence, the outcomes of the assessment can help prioritize which barriers to alleviate and which NCRES need more support. A long-term electricity capacity planning promoting NCRES. Switching the investment and generation subsidies in NIA from diesel generators to NCRES. Differentiated tariffs (positive externalities to NCRES) and green taxes. These rates would assign positive externalities, such as lower environmental costs, job creation, decentralization, and R&D promotion. Green purchasing. Public electricity demand can help make the electricity produced by renewable energies competitive. Effective exemption of customs tariffs for NCRES equipment. Research and development plan to promote NCRES in research centers. Promotion of electricity grid in ZNI associated with NCRES. That recommendation would help all NCRES, but according to the experts, it is particularly necessary for wind power projects, normally intended to produce a surplus of energy to be sold. Updates and more detailed Geographical information systems (GIS) about the potential of Geothermal and Biomass power. Promotion of electricity grid in ZNI associated with NCRES. In this case, the grid would both help by selling the energy surplus, or provide electricity when the PV system can not cover the demand. Self-consumption law. Modify the law for self-consumption with a positive balance, economically supporting the selling of the surplus electricity. Although something similar is included in law 1715/2014, the trade of surplus from self-generation should be helped to be viable NIA. These findings are described in the article entitled Assessing the obstacles to the participation of renewable energy sources in the electricity market of Colombia, recently published in the journal Renewable and Sustainable Energy Reviews. This work was conducted by Tomás Gómez-Navarro and David Ribó-Pérez from the Universitat Politècnica de València.